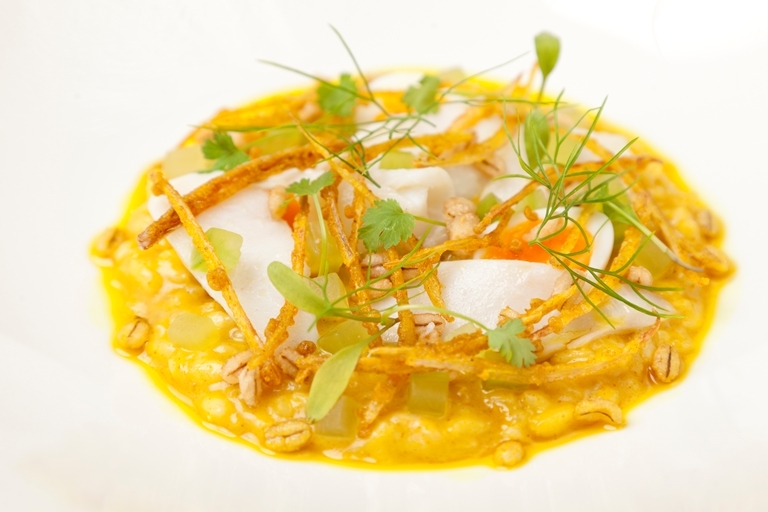 Shay Cooper wonderfully twists a timeless dish in this gourmet kedgeree recipe, keeping all of the original features - curry spices, smoked haddock, rice - but preparing them with expert care. Shay also adds a few contemporary touches, such as compressed cucumber. One of England’s young generation of up-and-coming, ultra-talented chefs with Michelin pedigree, Shay Cooper started cooking as a commis chef in 1997, before he was even out of school.